CARFAX One-Owner. Clean CARFAX. 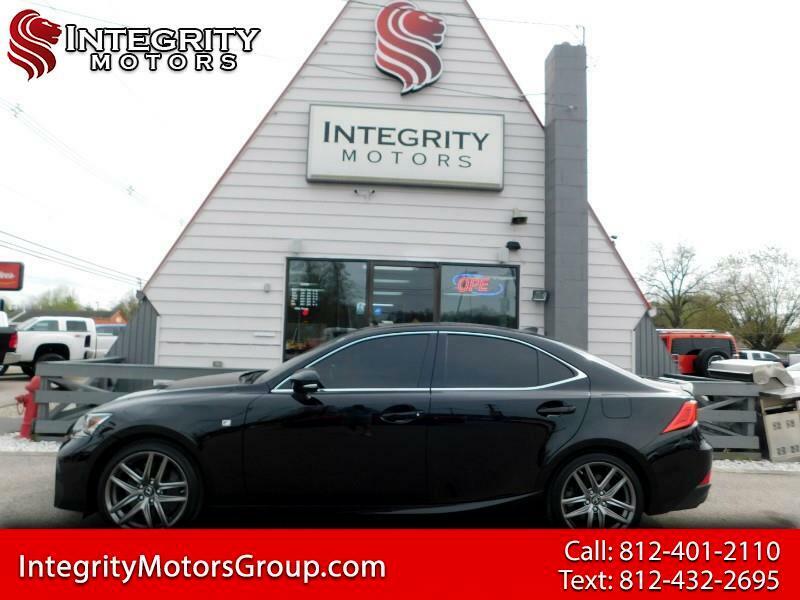 Black 2018 Lexus IS 350 F SPORT AWD 6-Speed Automatic 3.5L V6 DOHC Dual VVT-i 24V CLEAN CARFAX, ONE OWNER, AWD, Black w/F SPORT NuLuxe Seat Trim, Aluminum Sport Pedals, Black Headliner, Exterior Parking Camera Rear, F SPORT Package w/Comfort Package, F SPORT Tuned Adaptive Variable Suspension (AVS), F SPORT Tuned Suspension, Heated & Ventilated Front F SPORT Seats, Intake Sound Generator, Lexus Enform App Suite (Subscription Free), Lexus Enform Destinations, Lexus Insider, LFA Inspired TFT Instrumentation, Low & High Beam Twin Projector LED Headlamps, Navigation System, Power moonroof, Radio: Lexus Display Audio w/Navigation System, Side & Rear F SPORT Badging, Silver Performance Trim, Stainless Steel Scuff Plates, Unique Front Fascia/Grille, Unique Rear Bumper, Wheels: 18" F SPORT Split 5-Spoke Alloy. Message: Thought you might be interested in this 2018 Lexus IS.